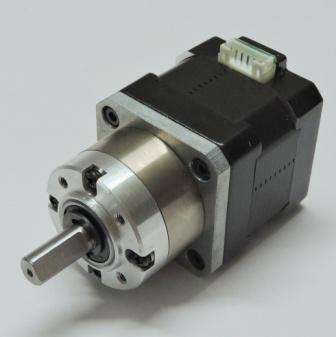 This is a Nema 17 hybrid geared stepper motor with a 5.18:1 ratio Planetary Gearbox. It offers you torque output upto 1.2N.m, nearly equal to a Nema23 56mm Stepper Motor but only half the weight. This motor is an ideal choice for stepstruder, Mendel Max 2.0 extruder and other types of extruders.